James C. Hathaway, the James E. and Sarah A. Degan Professor of Law, is a leading authority on international refugee law whose work is regularly cited by the most senior courts of the common law world. He is the founding director of Michigan Law’s Program in Refugee and Asylum Law and the Distinguished Visiting Professor of International Refugee Law at the University of Amsterdam. From 2008 to 2010, Professor Hathaway was on leave to serve as dean of the Melbourne Law School, where he established Australia’s first all-graduate (JD) law program. 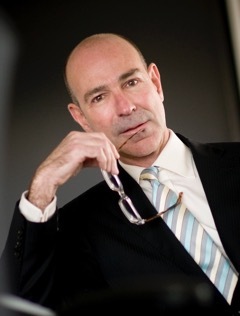 Before joining the Michigan Law faculty in 1998, he was professor of law and associate dean of the Osgoode Hall Law School (Toronto), and has been appointed a visiting professor at the universities of Cairo, California, Macerata, San Francisco, Stanford, Toronto, and Tokyo. He regularly provides training on refugee law to academic, non-governmental, and official audiences around the world. Professor Hathaway’s publications include The Law of Refugee Status (2014), with Michelle Foster; Transnational Law: Cases and Materials (2013), with Mathias Reimann, Timothy Dickinson, and Joel Samuels;Human Rights and Refugee Law (2013); The Rights of Refugees Under International Law (2005); Reconceiving International Refugee Law (1997); and more than 80 journal articles. 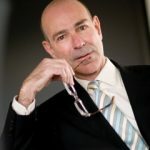 He is founding patron and senior adviser to Asylum Access, a nonprofit organization committed to delivering innovative legal aid to refugees in the global South, and counsel on international protection to the U.S. Committee for Refugees and Immigrants. Professor Hathaway sits on the editorial boards of the Journal of Refugee Studies, the Immigration and Nationality Law Reports, and reflaw.org. Renée Hirschon Philippakis, BA Cape Town, MA DPhil Oxf, was educated at the Universities of Cape Town, Chicago, and Oxford. 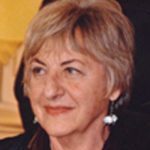 She is a Senior Research Fellow of St Peter’s College, and a Senior Member of St Antony’s College, University of Oxford. She is also a Research Associate of the School of Anthropology and Museum Ethnography, and of the Refugee Studies Centre at this University. Former director of the Asfari Institute for Civil Society and Citizenship at the American University of Beirut. Previously the Regional Representative for the Middle East of the UN High Commissioner for Human Rights, Director of the Forced Migration and Refugee Studies Program at the American University in Cairo, Program Officer for Human Rights at the Ford Foundation’s Offices in Lagos and Cairo, and Director of the Palestinian human rights organization Al-Haq. 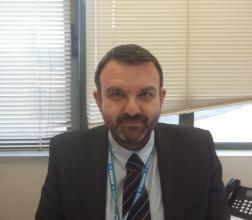 Petros Mastakas is a UNHCR staff member. 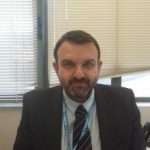 He has served as Legal Consultant in Greece (1999-2001), Protection Officer in Bulgaria (2002), Head of Field Office in Chad (2005-2006), Protection Officer in Syria (2006-2010) and Cameroon (2010-2011). Since October 2011 he has been posted as Associate Protection Officer in Athens, Greece. He has been part of UNHCR missions to Turkey, the Former Yugoslav Republic of Macedonia, Thailand, Sudan, Lebanon, Jordan, Bahrain and Kenya. Petros Mastakas worked for the National Youth Foundation (1997) and the National School of Public Administration (1998) while he held the positions of Director at the Greek Council for Refugees (2003-2004) and Senior Legal Officer with the International Catholic Migration Committee (Jan.- Sept 2011). He is a dux graduate of the Department of Political Science and International Studies of Panteion University and holds a Master’s Degree in International and European Studies from the same University. 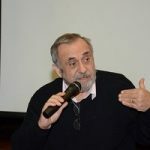 He has been awarded scholarships by the State Scholarships Foundation (1992-1995) and the Zossimas Foundation (1995) as well as the First Prize of the Panteion University Research Committee (1995) and the ‘Demetrios Anastopoulos’ Prize of the Hellenic University Association for European Studies (1997). He has lectured on Refugee Protection and International Refugee Law at the American University in Cairo, Military Peace Support Operations Training Centres and Police Academies in Greece and abroad. He has published research work, compilation of texts and interventions in conferences and workshops in the fields of International Human Rights Law, Refugee Law as well as Multilateral Parliamentary Diplomacy. 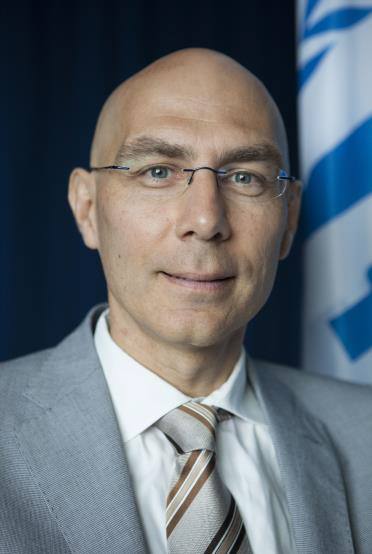 Volker Türk is UNHCR’s Assistant High Commissioner for Protection, having previously served as the Director of the Division of International Protection from September 2009 to February 2015. From April 2008 to September 2009, he was Director for Organizational Development and Management in Geneva, leading UNHCR’s structural and management change process. From 1991 to March 2008, he occupied various positions in many parts of the world, including in Malaysia, Kosovo (S/RES/1244 (1999))1, Bosnia and Herzegovina, the Democratic Republic of the Congo and Kuwait. From 2000 to 2004, he was Chief of the Protection Policy and Legal Advice Section at UNHCR Headquarters in Geneva, which had particular responsibilities for the Global Consultations process. Prior to his time with UNHCR, Volker Türk worked as University Assistant at the Institute of International Law at the University of Vienna (Austria), where he finished his doctoral thesis on UNHCR and its mandate (published in 1992). From 1985 to 1988, he was Research Assistant at the Institute of Criminal Law at the University of Linz (Austria). He has published widely on international refugee and human rights law. “A view from the Global South”: Roundtable with refugees by Sabrina Amirat.